Valet is $10.00 located on Sixth Street right before you cross Walnut Street. Kick back at Nada, a taco & cocktail joint in the heart of downtown Cincinnati. Snag guacamole and salsa to share, and dig in to punched-up tacos and mac n’ cheese with margaritas on draft and local craft brews. o.g. traditional + goat cheese & pomegranate + tuna "poke style"
We sat at the bar. The atmosphere in the bar area was comfortable and the service was excellent. I would recommend the tacos but this wasn't our first time here and we have always had a great meal. The drinks and beer selection were also good. 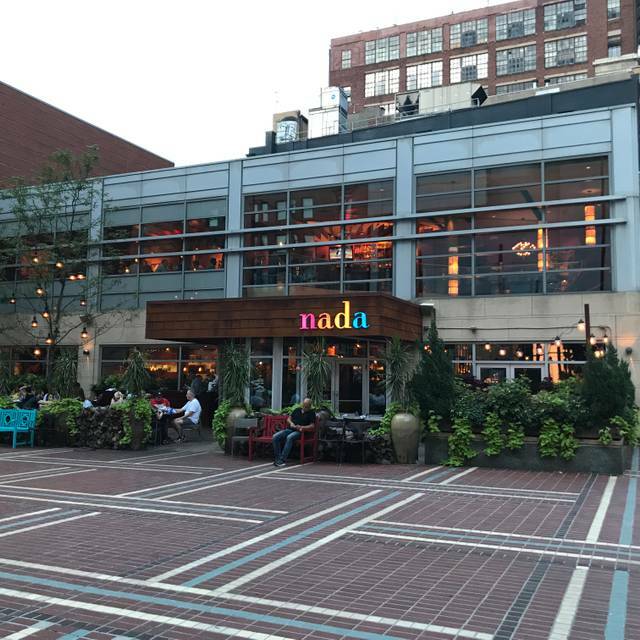 We try to visit Nada each time we travel to Cincinnati. Our first time for brunch and it was delicious. Everyone tried something different and ordered a French toast to share. Everything was amazing!! Amazing food, fantastic service. Daniel really took care of us and anticipated our needs. All around an amazing experience. We really miss the sliders though that was the reason we always came but the tacos were also amazing. 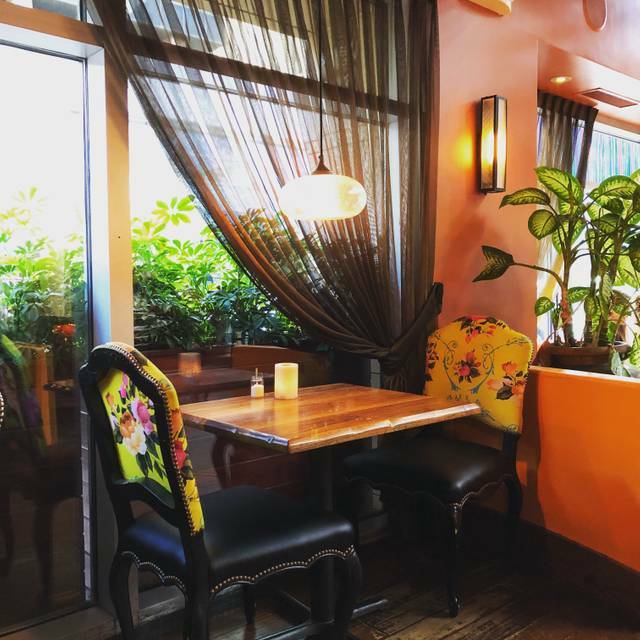 Wonderful atmosphere, very good food, attentive server! The restaurant was very loud but the food was great and we had the sweetest waitress! Four of us went to dinner at Nada prior to theater and had a wonderful meal. Service was great, food was very good and it was a great experience overall. Service was exceptional. Food was outstanding: would definitely recommend the queso and side of potatoes. The food is incredibly over priced and there's not really anything special about it. $16 for two street tacos is way too much and is definitely on the higher end compared to other local restaurants. So I've been to Nada over 50 times for lunch and dinners and this is the first time I've ever had a bad experience. I am not sure what has changed with the restaurant but the service was not crisp and our food was incredibly late. We had a party of 10 but the restaurant was half empty on a Thursday night when it's usually packed and we still only had one server for our large party...no other table support for drink refills or clearing plates. He had to do it all, which I've never seen happen at Nada before. Also, they apparently changed the menu...generally for the worse...and dropped some items that have been on the menu since the place opened (no more sliders...no more original chicken or salmon tacos...and the potatoes are not what they used to be...it's now like something I could get at First Watch). 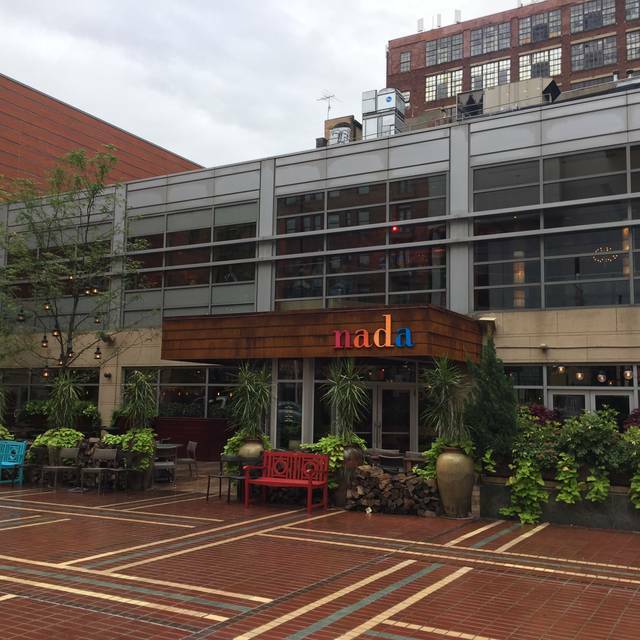 I am really disappointed...Nada was my favorite restaurant in Cincinnati but everyone in our party agreed that the service and menu changes make it some place we might not return to. Great place to sit outside and enjoy a bite before a show at the Aronoff. Server was great. We were running behind and I was able to grab the last 7PM reservation on the way. But told him we were going to the musical next door and it started at 7:30. He was able to get us served right away with exactly what we wanted it worked out great! We dine here often before the Broadway Shows. Yesterday they was the first day they changed up the menu. Really disappointed with the new menu although the guacamole was good. They took off the Sir Winston pot roast taco which I think was the best taco they had (apparently the potatoes were took expensive to make). They replaced it will a cauliflower taco and fried tofu. Manager was nice, waitress was friendly but very slow and inattentive. Will actually probably pick a new place to go to. Nada, why did you take salmon off the menu?? 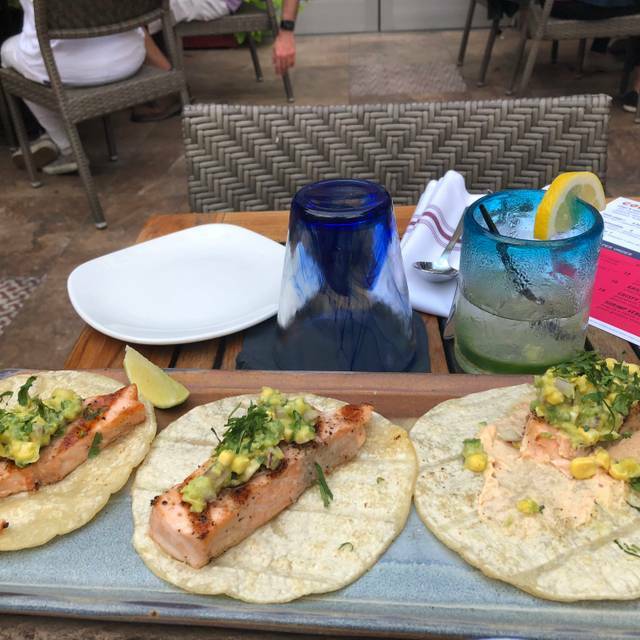 Your fish tacos (salmon) were amazing and consistently good. So disappointed. The mahi was OK but nowhere near as good. Great service and food quality! Perfect for any occasion! Fun, server and hostess were very accommodating. Rather disappointed. I had been looking forward to eating here as i have heard great things about it. It is just okay. 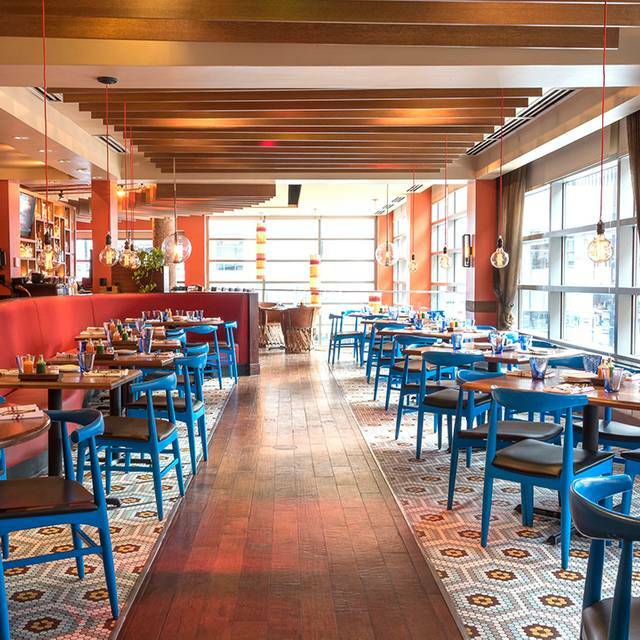 Pros: good for a pre-show bite; outdoor seating; good margaritas. Did not think the food was that great. We have been here before, really enjoy the food! However, the service was terrible, we had to find someone to find out if our drinks/food were arriving. Not like past experiences. There were 11 in my party and it took over an hour to receive our food. We were being told that our foid would be out in about 3 minutes. 15 minutes later we still didn't have any food. The manager did come to our table and comped the meals for the whole table which we didn't expect but we appreciated because we had to leave half of our food because we had 7:30 play tickets at the Aronoff. This is the worst service that we've had for all the times we have eaten at nada. Nada is always great! Our server, Josh, ensured that we were to the show on time without feeling rushed. He addressed dietary concerns, made sure our cocktails didn’t run out, and was so nice to our entire group. 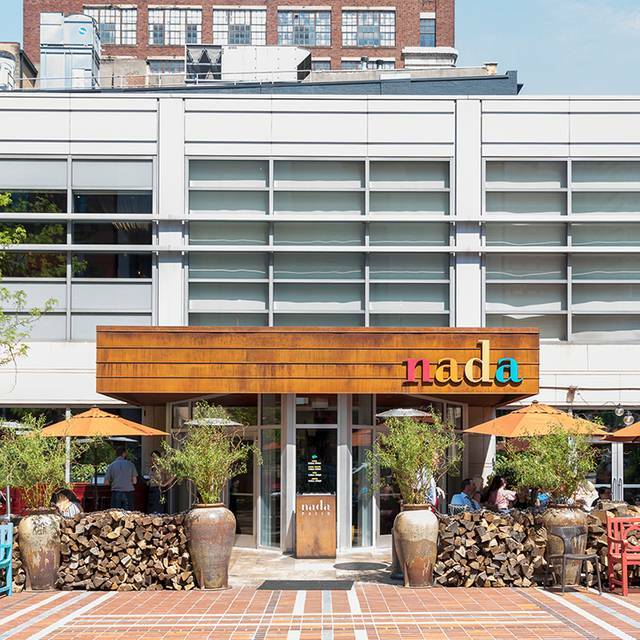 I hadn't been to Nada in a couple of years, but I have to say it is one the best dining experiences in the city. It is casual, but the food is amazing. Nada sliders, mac n cheese, fries, guacamole. The whole experience was worth doing again and AGAIN. Sat outside on a nice night, started out with drinks. Drinks were made very well. Had the spicy mango margarita and my girlfriend had the Moscow Mule. For food had the guacamole sampler. 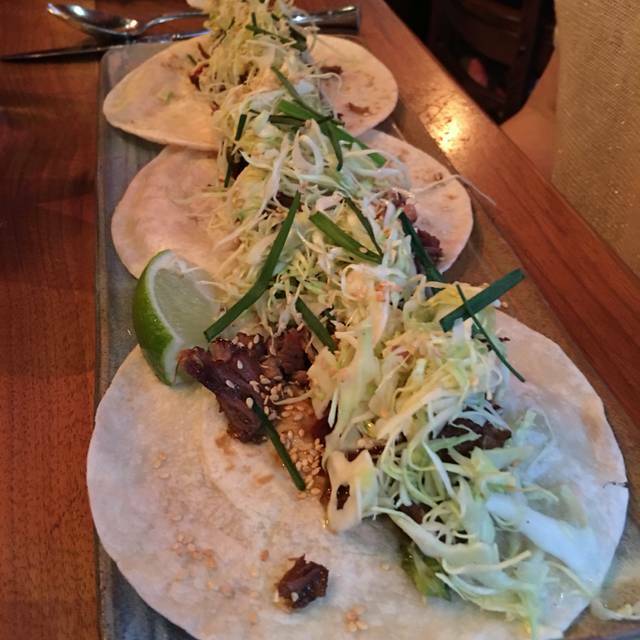 The only complaint is that pork belly tacos were very dry. The pork belly was very tough and dry. The tamals, shrimp and carnitas, were great and would recommend. But the pork belly tacos were so dry. The food is AMAZING. 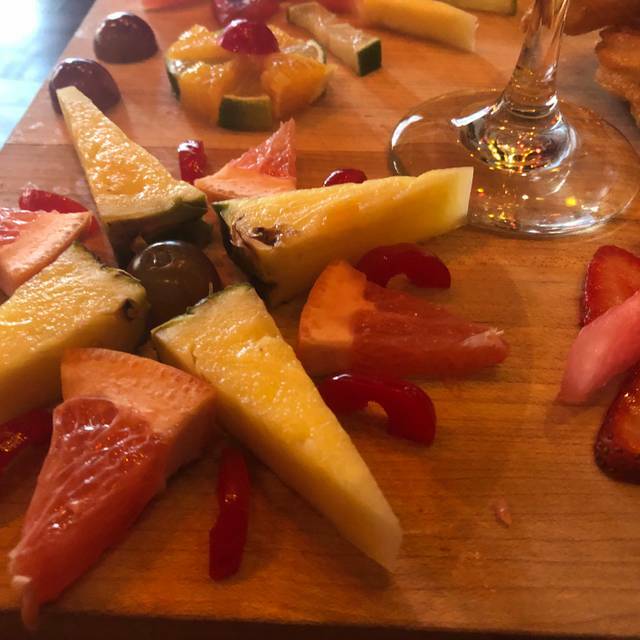 The cocktails are wonderful (try the coffee drink at brunch). Our waiter was great. Attentive but not pushy. Eat here!! 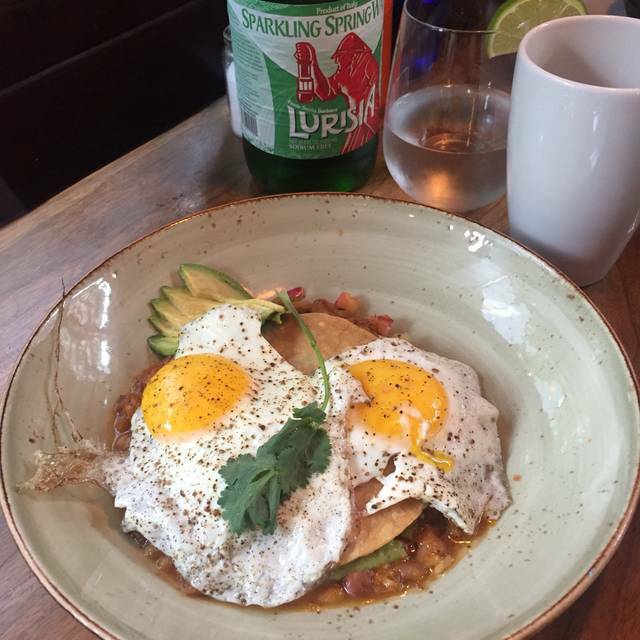 The pork belly tacos are SO amazing and the Eggs Goettadicto is as well! Great experience, service, food. Love love Nada for any occasion. My experience was amazing from the moment we arrived, to the food, to the end of our dinner!! Our waiter was amazingggg!! Will be back for sure ESPECIALLY FOR THE FOOD! Seems to be our family go to place for graduations, birthdays and anniversaries. We have always enjoyed the entire experience. Took my Mom for the first time and she loved it and can’t wait to come back. Our server Cody, was amazing and as sweet as she could be! Service is always amazing at Nada! Can’t wait for the new location! BEST QUESO I HAVE EVER HAD! We reserved a table for 10 for a birthday party on a Saturday and got the coolest table with a fantastic view, we were coming from out of town and had to call in about being late and moving our reservation time, they were very flexible and accommodating. Server did a great job - nice, friendly guy, who provided good recommendations. Food was well prepared with great flavor. We were very pleased especially having not been there before. Disappointed by the fact that we were told it was happy hour until 6pm, so we opt for outside seating, and then we’re told that happy our is only at the bar when we were ordering our drinks... frustrating considering that’s why we went there in the first place. A verbal warning prior to be seated or some sort of signage would have been appreciated. Still rather annoyed by that and it’ll prevent me from ever sitting at a normal table at Nada, again. This was My first visit to nada's. Celebration of My b day. My favourite things were the shrimp tacos, nada potatoes which are sweet n spicy, and churros for desert with chocolate sauce for dipping . Great food so will be busy at prime time. Opens at 11 if you want to get in and out before the rush. Be sure to get the salsa sampler. Really good. We love Nada. Whenever we have a downtown event we usually end up at Nada. This week we ate lunch there and, as always, the food was excellent and the service was outstanding. Very cool vibe to the place as well. Definitely our No.1 restaurant downtown! The food was spot on but the wait to be greeted and some of our food took forever to get to the table. The waiter made up for it by comping portions of the check. The shrimp tacos were the bomb. We will be back. A group of my friends and I visited Nada and we enjoyed it immensely. I am vegetarian and one friend is gluten free, and the service catered to us both. The service was absolutely incredible. Thank you Nada!! Absolutely LOVE Nada. We went for my bachelorette dinner, and our server was extremely helpful and made awesome suggestions. There's really not a bad thing on the menu.